Finally a marijuana dispensary software solution that makes your mmj inventory management easier, optimizes your cannabusiness, increases profits, boosts organizational and customer service capabilities. 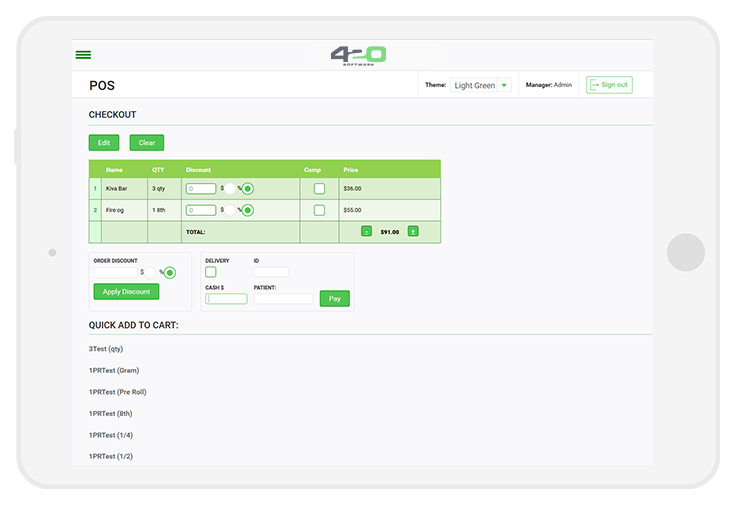 An all-in- one dispensary management system for dispensary owners, built by dispensary owners. Learn more on how our cannabis software system can save you hours of work, while maximizing features and efficiency. We are proud to provide our customers with a detailed, customized, and specialized mmj software solution to assist with the scaling of their marijuana dispensary business. What makes 420 Software unique is our knowledge of the cannabis industry. We build our seed to sale software based on experience. Our years in the mmj industry have given us the structure to build an optimal dispensary management system that meets everyone’s needs. 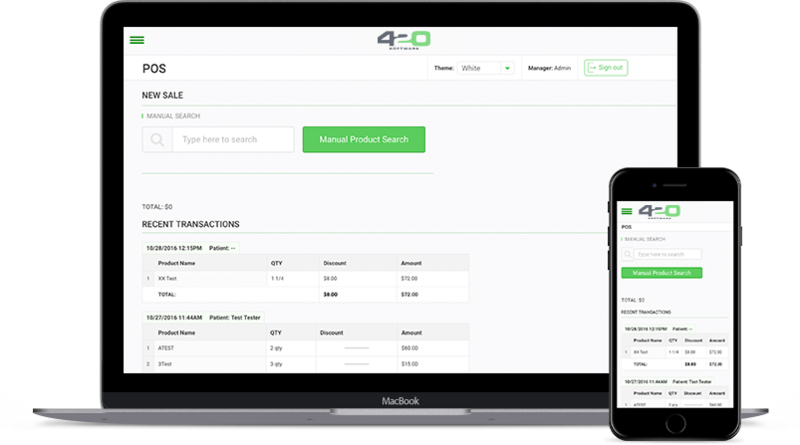 From the beginning we focused on becoming the best All-For- You mmj delivery software. Our philosophy is simple: To arm marijuana dispensary owners with the tools needed to optimize their Cannabusiness, including customer service capabilities. We achieve this by enabling the ability to track customers and transactions from seed to sale, managing every gram and providing absolute clarity in real-time. 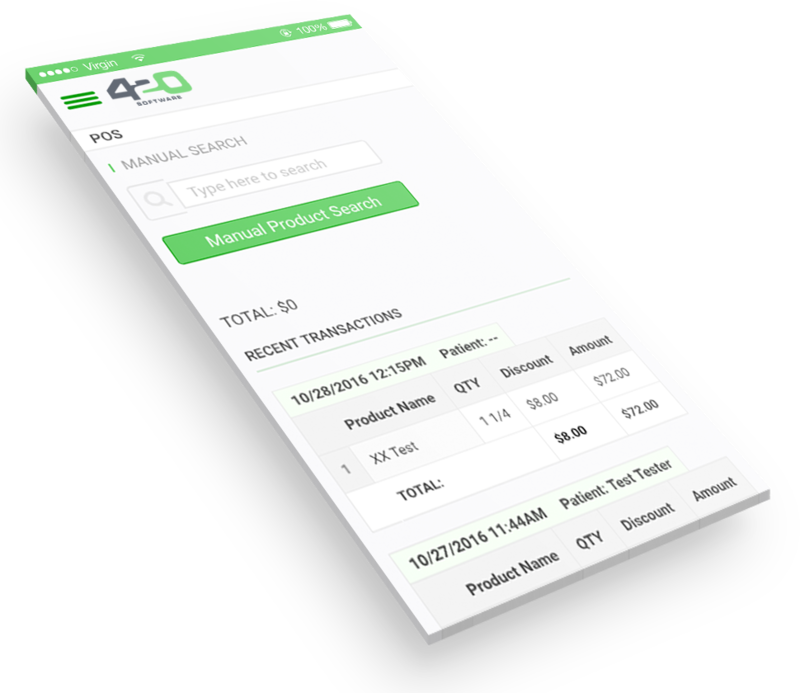 Dramatically decrease the amount of time you spend on mmj inventory management, cannabis products, and customers. With our very simple Multi-Location seed to sale platform at your fingertips, you can focus on growing your marijuana business. Our suite of tools is the only seed to sale software you need to operate every aspect of your business. Track your customers, inventory, loyalty, and profits wherever you go. Our dedicated focus and detail-oriented features will leave you wondering how you ever ran your business without them. Our Customer Resource portal, provides all the tools necessary to help you run your business and answer all your questions. Also our set of instructional videos will guide you through the on-boarding process. Manage all your locations from one core system. As your business grows, so will your POS system automatically. Add and remove locations as you need them, while providing employees with granular access to only what they need. Keep an eye on your whole inventory from anywhere in the world. Focus and get the reports you need to make the right choices for reordering, vendor management, optimization of profit and more. 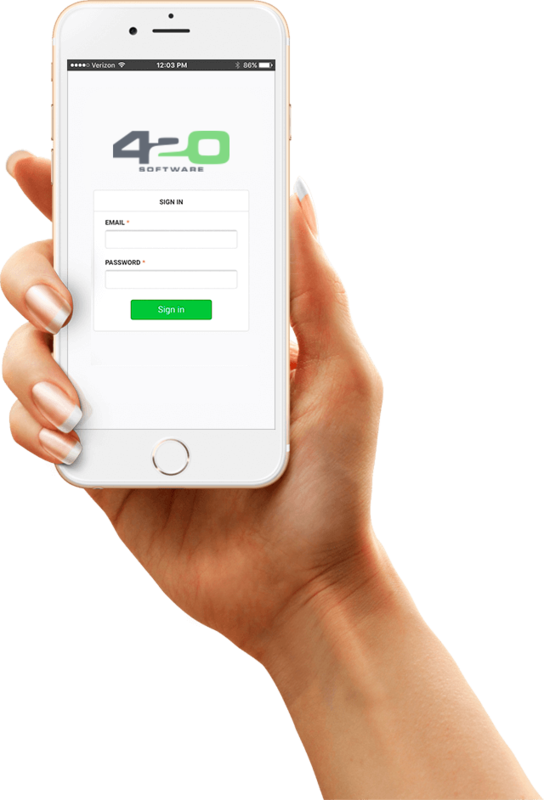 So you’re never in the dark, 420 software makes it possible for you to take this solution and access it whenever and wherever you need. With our Offline capabilities, a database is always stored locally at any physical location. We have made our solution from the ground up with one focus, provide an optimized solution for dispensary owners. By understanding the industry we have made the perfect solution to save every location time and money. With dedicated customer consultants standing by in the USA to provide dedicated support, you will have the resources you need. Get the answers to new or old questions. Manage your business regardless of connectivity. Our software has offline capabilities which stores information locally at your physical location. When you connect to the internet, all information is automatically synced. Never miss a beat. This product is absolutely amazing. We have spent years looking for a solution this easy and this good. I recommend this soltuion to all dispensary owners who need to save time, run their business, and grow. Keep track of and export your data to Excel to share with your accounting team. Only a click away, paperless and efficient. Our Compliance Suite® performs a weekly compliance overview of your data, software, network and platform, to make sure your data is protected. Ask us how! Communication Suite®. Contact your customers by text, email, and push notification. Improve customer service and communication to give yourself an edge over other marijuana dispensaries.